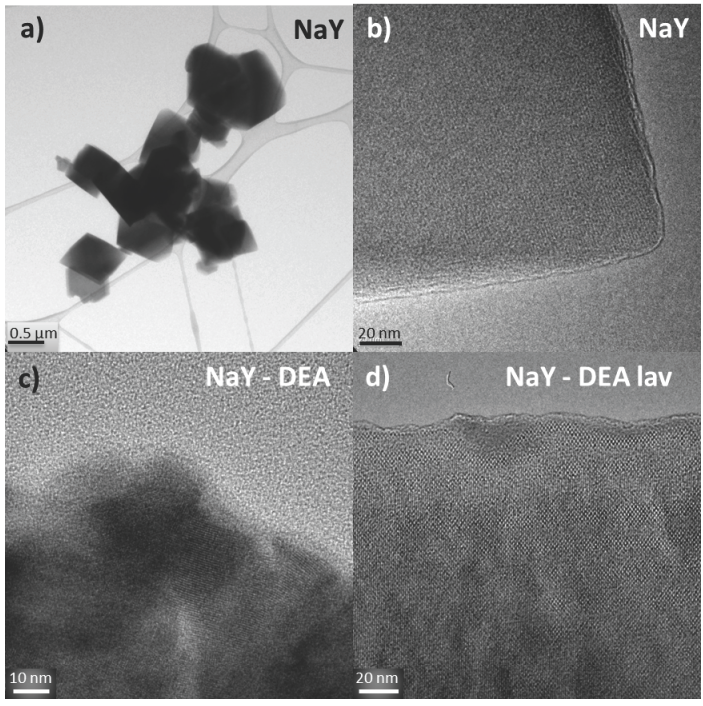 In this work, a study about the modification of Zeolite NaY by the methods of physical impregnation, chemical modification and characterization by various spectroscopic and microscopic techniques is presented. Modification by impregnation was carried out with three different alckanolamines, monoethanol amine (MEA) diethanol Amine (DEA) and methyl diethanol Amine (MDEA), which are commonly used in acidic gas adsorption processes for purifying natural gas. Chemical modification of zeolite NaY was carried out with 3-Aminopropyl-trimethoxixilano (APTMS) which is widely used for grafting of amine groups onto silica surfaces, what increases its chemical affinity with acidic gases. Modified zeolites were characterized by physico-chemical, thermal and morphological analyzes, in order to determine the degree of modification of the material. Polymeric and hybrid membranes were prepared from a commercial polysulfone (Psu) matrix, using modified and original zeolite, and then their permeability and selectivity properties were studied in separation of mixed gases of CH4/CO2, where the zeolites delivered improvements in said properties, obtaining the best permeability results of the hybrid membrane contained in NaY zeoltia and modified with DEA (Psu-NaY-DEA), with values twice greater than the polymer membrane, showing potential applications in the separation of mixed gases.